Hollywood film, The Vanishing, filmed on the Dumfries and Galloway coastline! Hollywood actors Gerard Butler and Peter Mullan, to name a couple, have up until recently enjoyed the stunning coastline of Dumfries and Galloway whilst shooting their most recent film ‘The Vanishing’. Sands of Luce, a holiday park on Luce Bay is only a stone’s throw away from the stunning set which plays the rugged backdrop for the movie. The coast which is the home to our static holiday homes, was described by Gerard Butler as ‘paradise’ whilst sharing a stunning video of the sun setting on a local beach. It’s no surprise that the filming has created a certain buzz around Dumfries and Galloway. Not far from Sands of Luce, the Mull of Galloway Lighthouse was the main set for the movie and attracted a lot of attention, to say the least! Locals and visitors have had the pleasure of getting up close to the stars, as cast and crew enjoyed many a night out in Portpatrick, with their favourite pub being The Crown Hotel. The Vanishing will be in cinemas March 2019. Book your 2019 Caravan Lodge in Scotland, Now! The team here at Sand of Luce are looking forward to the New Year and welcoming new and existing customers to their new Warren development. 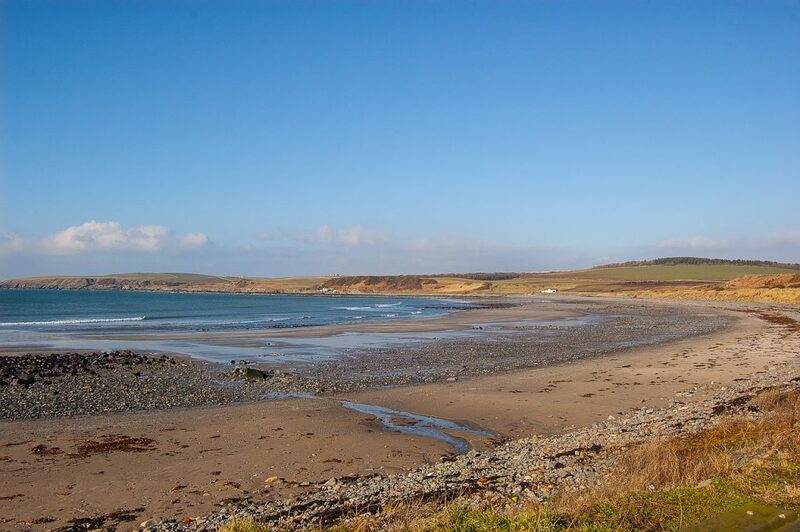 We still have plenty of static holiday homes to book if you are looking for sensational beachside holiday lets in Dumfries and Galloway. Contact our friendly and advisable team today, who will be more than happy to discuss your requirements further!